For a second there, back in 2009 to be more precise, it almost looked like Animal Collective were about to pass into the wider public consciousness with one of their more accessible releases to date, Merriweather Post Pavilion. It shouldn't have been all that surprising; under all the chaos and experimentation, Animal Collective have always displayed a knack for a sublime pop tune. On Merriweather, their pop impulses came to the fore with tracks like 'Summertime Clothes' and 'My Girls' filling many an indie dancefloor that year. Animal Collective have never played things straight for too long, however. The following year they released ODDSAC; an experimental 'visual album' project that seemed to divide opinion. It was difficult to guess where the band would head next. We've had EPs and another Panda Bear album since but for many, Centipede Hz will be the first Animal Collective album to enter the wider musical hemisphere since Merriweather dipped its toes into the mainstream. Depending on your viewpoint, the new album will either be a glorious reaffirmation of all that makes Avey Tare, Panda Bear, Deakin and Geologist great or a confusing, unfocussed mess. I'd definitely agree with the former; Centipede Hz is a swirling, psychedelic stew of an album which finds Animal Collective on fine form. It's clear from 'Moon Jock', the album's opening track, that the band are in a playful mood; barley decipherable giddy vocals, pounding drums and transistor radio sounds build to uniquely eccentric peaks and technicolour highs. 'Today's Supernatural' is slightly poppier but still raving mad; there's a gleefully unhinged vibe about it and a distinct lack of care for the 'verse-chorus-verse' format. In other words, it's wonderful. The album hits frequent peaks. 'Applesauce' sounds like a classic Beach Boys single played way too fast (an Animal Collective speciality) while 'New Town Burn Out' finds the band pushing their sound into ever more exciting directions. 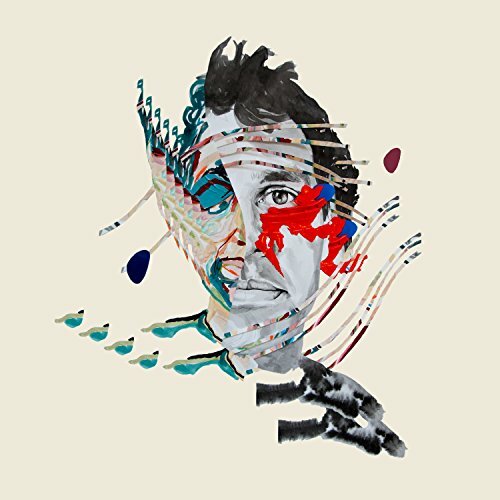 'Pulleys' uses some familiar Animal Collective percussive effects and combines them with some beautifully flowing melodies while the barnstorming 'Amanita' does everything Animal Collective do well in suitably vibrant style. The album is distinctly Animal Collective and couldn't be mistaken for anyone else. The band have always favoured steady evolution over a complete re-haul. Centipede Hz certainly falls into the 'repeat listens will reward' camp; the album doesn't make much sense on first listen but give it time. Animal Collective's sound remains a fairly happy one, at times ecstatic even, but there are definitely some darker undercurrents present on Centipede Hz, especially when compared to the unbridled optimism of Merriweather. Overall, this is the Animal Collective you know and love doing what they do best.